Under the right conditions, Mountain Ash tree's turn into one of Colorado's most colorful tree's during the Autumn season. This particular season, the Mountain Ash tree's in Boulder's Gregory Canyon were primed to display their brilliant fall foilage. 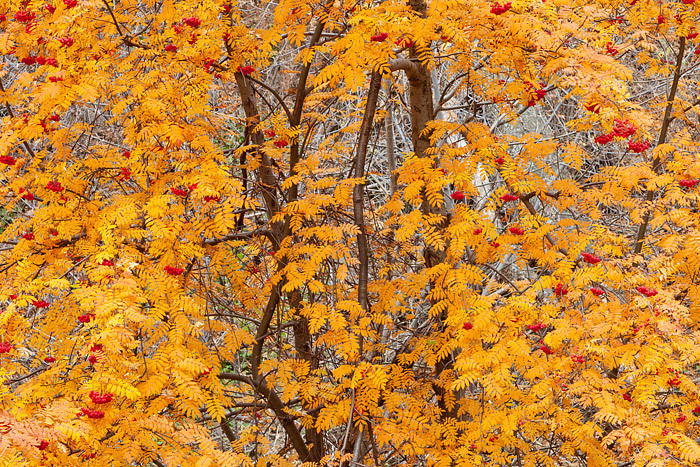 Mountain Ash tree's turn a vibrant orange that makes an unmistakable impression to hikers passing through the Canyon. Photo © copyright by Thomas Mangan.